Imagine a new kind of building that physically embraces the forces of nature and, much like a wind chime, accepts the wind as its artist’s final design element. 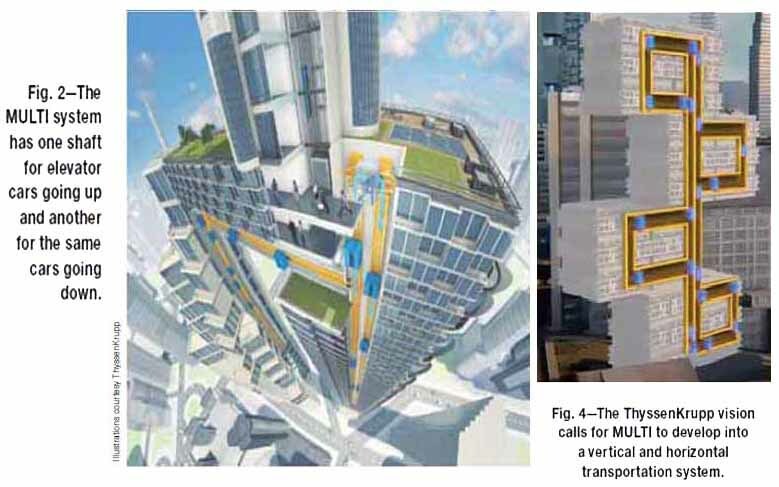 David Fisher is the visionary architect behind the Dynamic Tower. His design creates a building facade that is constantly changing. A snapshot in time will never catch the dynamics of this building where each floor rotates independently at a different speed. A new paradigm for the building of a new home on a teardown lot has recently been introduced by a company called LivingHomes. This company brings prefabricated parts of the new home to the construction site and fits them together as if they were large Lego blocks. As the modules near completion the preparation of the construction site begins. The house in the illustration was basically erected on April 13, 2006. When boats enter a caisson they automatically displace their own weight of water. The physical size of the boats that enter the caisson determines how many boats can be carried at one time. Have you driven across a polymeric polyurethane bridge lately? 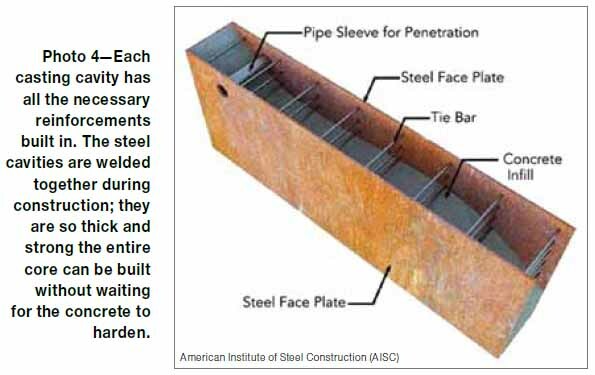 A new construction technology that creates insulated concrete walls might have a major influence on future construction. 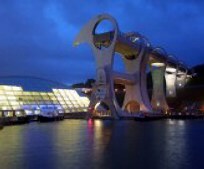 When it is in motion (see photos) this contemporary steel structure looks like a modern work of art that reminds many of a winking eye. Today, the wood elements of a structure are generally held together by metal nails and staples. Gluing as a method of holding any part of the structure together is minimal because it takes too long for glues to dry and form a strong bond. A new bonding material has recently been developed for use in the construction of prefabricated housing. 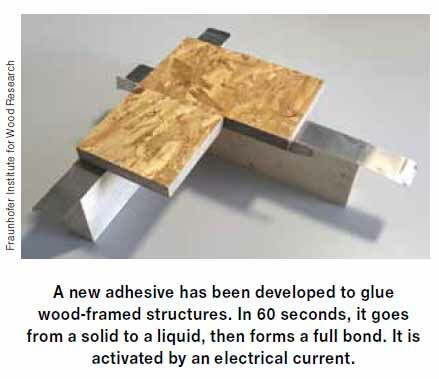 It is an adhesive that, in 60 seconds, goes from a solid to a liquid and then on to form a full bond when it is activated by an electrical current. Just like the ancient Greeks and Romans did centuries ago modern architects are now pushing beyond what seems possible. 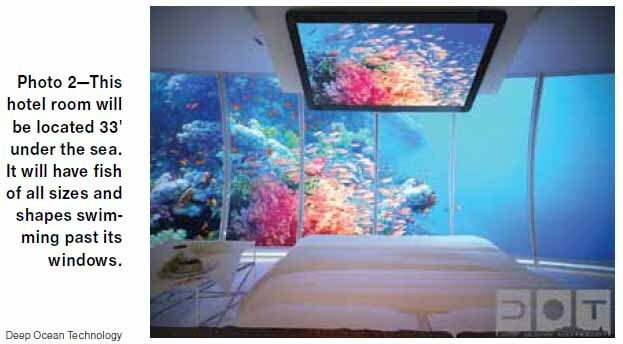 In Dubai, an Emirate of the United Arab Emirates, the Water Discus Hotel will have guest rooms located 33 feet below the surface of the water. 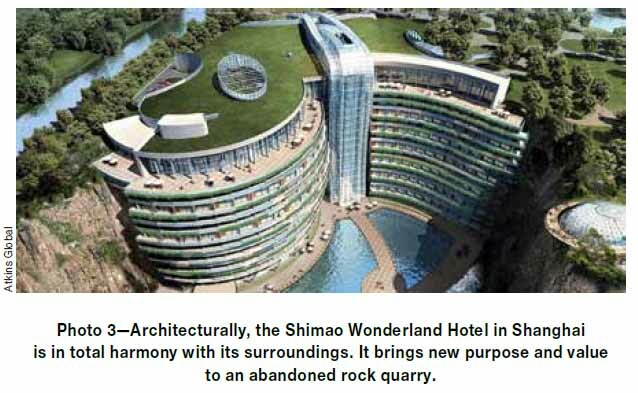 In Shanghai China the Shimao Wonderland Intercontinental Hotel will also have rooms underwater. Even more extraordinary this amazing construction project shows that it is possible to turn an old abandoned rock quarry into a tourist paradise. The full story is only one click away. This new Tappan Zee Bridge is just beginning to rise from the water of the Hudson River. 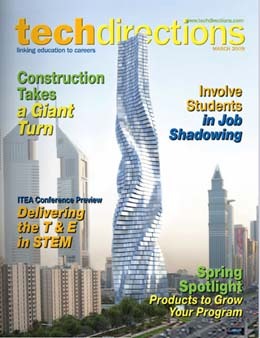 This column describes the engineering and construction technologies being used to build this new bridge. 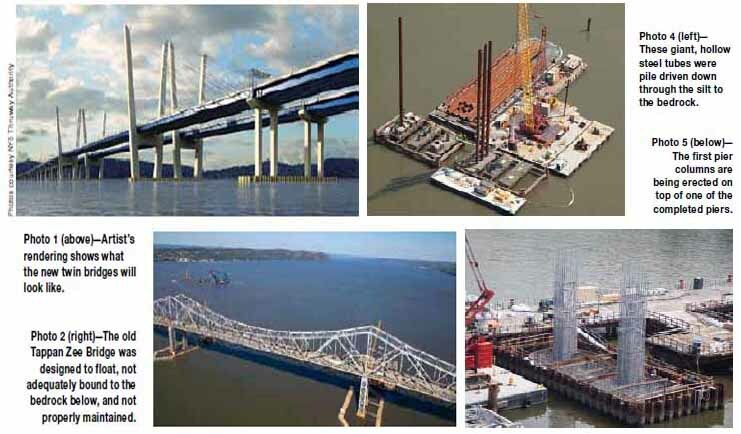 These bridges will withstand the forces of nature that are now slowly ripping apart the 60 year old Tappan Zee bridge that it will soon replace. To build a structurally sound bridge, this time, engineers needed to reach the bedrock which is 300 feet below the water and covered by hundreds of feet of silt. The new twin Bridges will have a dampening system that will allow them to withstand the motion of an earthquake if, perhaps when, the Ramapo seismic zone decides to give them a major shake. The full story is fascinating. 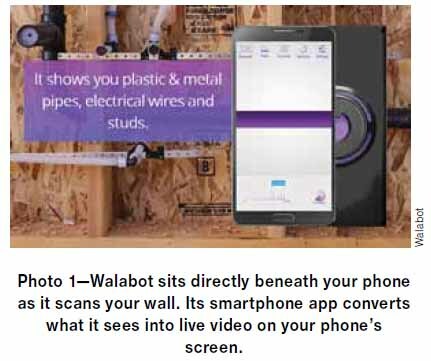 Walabot is a new product that works with your smartphone and lets you see the plumbing and wiring that is hidden inside your walls. It works with a Walabot free app. 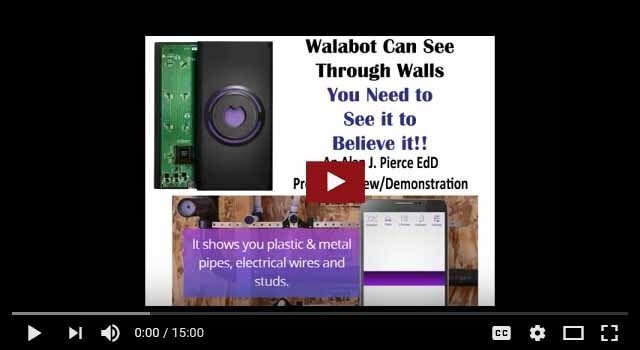 Wallabot emits radio waves into your concrete or dry wall. It has multiple antennas to receive the information that bounces back from the objects that it finds in your wall. The technology behind this device is already being used by the military, homeland security, and in new medical devices. This column describes it all. Some of Elon Musk’s projects seemed impossible when he first proposed them, but none of his ideas have ever been boring. His Boring Company is a play on words where the name of the company sums up what this company will do; that is bore tunnels to move new transportation systems underground. 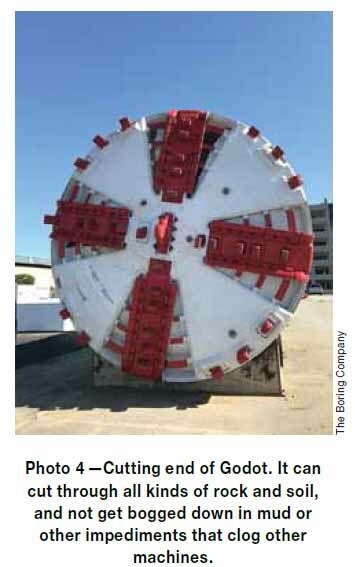 It is no accident that Godit, the new boring machine that his engineering teams have created (see photo 3 and 4), actually bore tunnels that are the exact size needed for the hyperloop’s giant tubes. 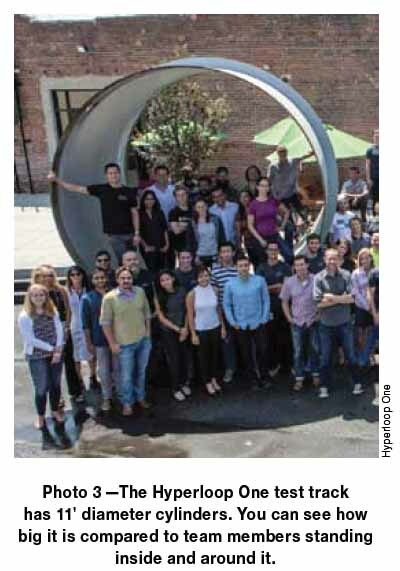 You need more information on Hyperloop just click the crowd in a tube photo which appeared as photo 3 in the Hyperloop story..
Hudson Yards is a 20 billion mega construction project that is now under construction in NYC. At the center of this 21st century mini city, in an open to the public 5 acre park like setting, they are now building the structure shown in photo 2. It is not a building and has no stores. 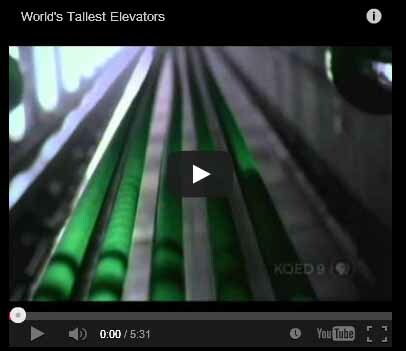 It is an observation tower that will become a NYC landmark for tourists and New Yorkers to visit. Vessel is designed as interactive art for people to climb. 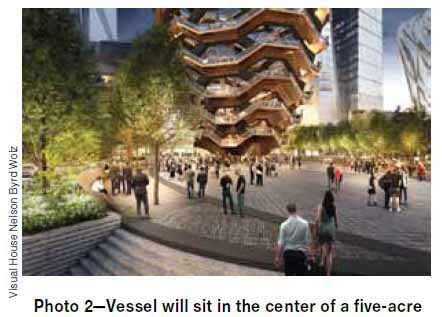 Since Vessel has no floors to anchor its staircases, it is a unique construction project. 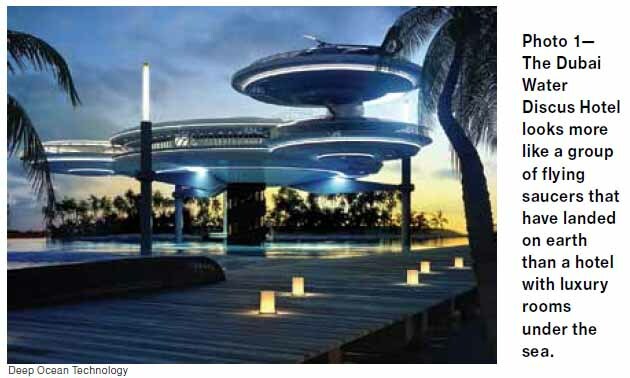 Vessel has been designed so it will look like it defies gravity. It will have a relatively small footprint at its foundation. 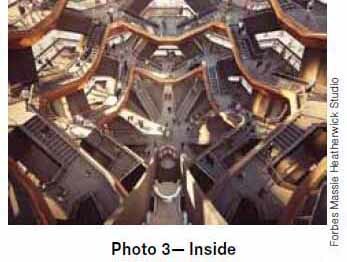 From this base diameter each level spirals a little further out as its staircases and landings climb 16 stories into the air. 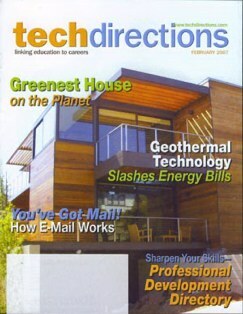 For the full story with video links just click below for the TechDirections PDF. 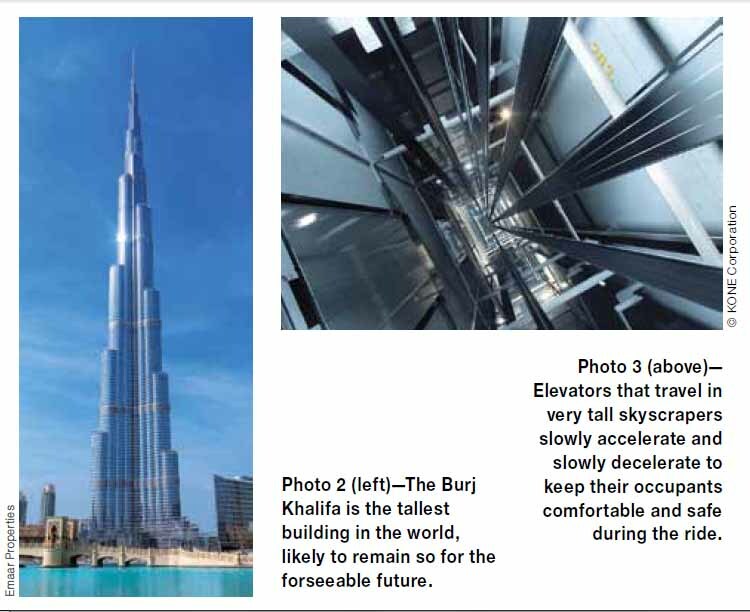 The current method of building tall office buildings combines a steel frame with a traditional reinforced concrete core. SpeedCore does away with the wood forms and also the custom bending and placement of the rebar. Under laboratory conditions, SpeedCore has proven itself to be a superior earthquake proof method of construction. 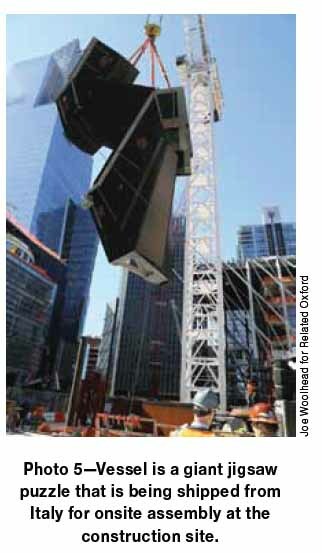 This new construction method has proven its ability to stand up to everything that nature might throw at it including the lateral loads of extremely high winds as well as the ground shaking and moving of earthquakes. 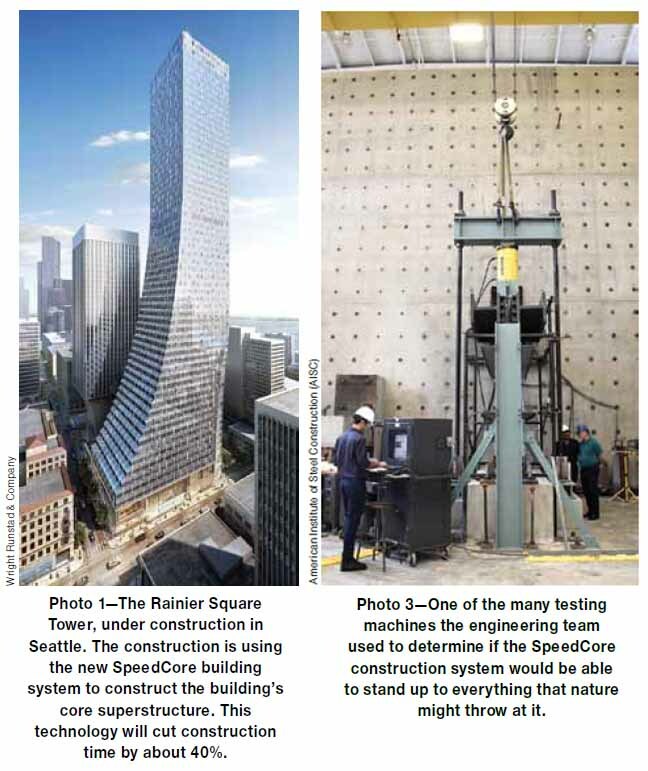 The first building to use the SpeedCore construction method to create a Composite Plate Shear Wall Core superstructure is now under construction in Seattle Washington. See photos. When it is completed, at 850 feet, it will be the second tallest tower in Seattle; an area that is known for its earthquakes.